EQT Infrastructure to Support Lumos Networks in becoming a broader Telecommunication Infrastructure Platform in the U.S.
WAYNESBORO, Va.--(BUSINESS WIRE)--Lumos Networks Corp. (“Lumos Networks”) (NASDAQ: LMOS), a leading fiber-based service provider in the Mid-Atlantic region, announced today that it has entered into a definitive agreement (the “agreement”) to be acquired by the EQT Infrastructure investment strategy (“EQT Infrastructure”), for $18.00 per share, resulting in an enterprise value of approximately $950 million. Under the terms of the agreement, EQT Infrastructure will acquire all of Lumos Networks’ common stock. Shareholders of record will receive $18.00 in cash per share of Lumos Networks’ common stock, which is a premium of 18.2% to the closing price of $15.23 on February 17, 2017. The offer price represents a 34.9% premium to the volume-weighted price average of the last 12 months of $13.35 and a 16.5% premium to $15.45, which is the average closing price of the last 20 trading days. “We are excited about the opportunity to acquire Lumos Networks, having been impressed by the Company’s strategic vision and execution since it became a public company in 2011. We look forward to working collaboratively with Lumos Networks’ team and to drawing upon EQT’s deep expertise in the telecommunications and fiber sector in support of the Company’s growth and expansion,” said Jan Vesely, Director at investment advisor EQT Partners. “Our transformation would not have been possible without our debt holders, including Co-Bank and its lending consortium, and Pamplona Capital, who provided their investment capital support and expertise,” Mr. Biltz continued. The agreement was approved by all members of the board of directors voting on the transaction. Completion of the transaction is subject to shareholder approval, regulatory approval and other customary closing conditions. The acquisition is expected to be completed during the third quarter of 2017. Wells Fargo Securities, LLC and UBS Investment Bank served as co-financial advisors to Lumos Networks in connection with the transaction. Troutman Sanders LLP and Lawler, Metzger, Keeny and Logan, LLC served as legal counsel for Lumos Networks in connection with this transaction. Morgan Stanley & Co. LLC acted as exclusive financial advisor to EQT Infrastructure, and Simpson Thacher & Bartlett LLP and Morgan, Lewis, & Bockius LLP served as legal advisors to EQT Infrastructure. In connection with the proposed transaction, Lumos Networks will hold a special meeting to obtain shareholder approval in connection with the proposed transaction and will file a proxy statement with the SEC. Additionally, Lumos Networks will file other relevant materials in connection with the proposed transaction. The definitive proxy statement will be mailed to Lumos Networks’ shareholders and will contain important information about the proposed transaction and related matters. The materials to be filed by Lumos Networks with the SEC may be obtained free of charge at the SEC’s web site at www.sec.gov. In addition, investors and security holders may obtain free copies of the documents filed with the SEC by Lumos Networks on Lumos Networks’ website at www.lumosnetworks.com or by contacting Lumos Networks investor relations at davisw@lumosnetworks.com. INVESTORS AND SECURITY HOLDERS OF LUMOS NETWORKS ARE URGED TO READ THE PROXY STATEMENT AND THE OTHER RELEVANT MATERIALS WHEN THEY BECOME AVAILABLE BEFORE MAKING ANY VOTING OR INVESTMENT DECISION WITH RESPECT TO THE PROPOSED TRANSACTION BECAUSE THEY WILL CONTAIN IMPORTANT INFORMATION. Lumos Networks and its directors, executive officers and other persons, may be deemed to be participants in the solicitation of proxies of Lumos Networks shareholders in connection with the proposed transaction. Information concerning the interests of Lumos Networks’ participants in the solicitation, which may, in some cases, be different than those of Lumos shareholders generally, is set forth in the materials filed by Lumos Networks with the SEC, including in Lumos Networks’ definitive proxy statement filed with the SEC on March 15, 2016, and will be set forth in the proxy statement relating to the proposed transaction when it becomes available. 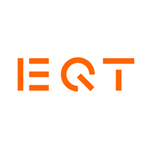 EQT is a leading alternative investments firm with approximately EUR 31 billion in raised capital in 21 funds. EQT Funds have portfolio companies in Europe, Asia and the U.S. with total sales of more than EUR 15 billion and approximately 100,000 employees. EQT works with portfolio companies to achieve sustainable growth, operational excellence and market leadership. Any statements contained in this presentation that are not statements of historical fact, including statements about our beliefs and expectations, are forward-looking statements and should be evaluated as such. The words “anticipates,” “believes,” “expects,” “intends,” “plans,” “estimates,” “targets,” “projects,” “should,” “may,” “will” and similar words and expressions are intended to identify forward-looking statements. Such forward-looking statements reflect, among other things, our current expectations, plans and strategies, and anticipated financial results, all of which are subject to known and unknown risks, uncertainties and factors that may cause our actual results to differ materially from those expressed or implied by these forward-looking statements. Many of these risks are beyond our ability to control or predict. Because of these risks, uncertainties and assumptions, you should not place undue reliance on these forward-looking statements. Furthermore, forward-looking statements speak only as of the date they are made. We do not undertake any obligation to update or review any forward-looking information, whether as a result of new information, future events or otherwise. Important factors with respect to any such forward-looking statements, including certain risks and uncertainties that could cause actual results to differ from those contained in the forward-looking statements, include, but are not limited to: the successful closing of the announced transaction with EQT Infrastructure, including obtaining the requisite regulatory, governmental and shareholder approvals and satisfying other closing conditions; the risk that required governmental and regulatory approvals may delay the transaction or result in the imposition of conditions that could cause the parties to abandon the transaction or materially impact the financial benefits of the transaction; the timing to consummate the proposed transaction; any disruption from the proposed transaction making it more difficult to maintain relationships with customers, employees or suppliers; the diversion of management time on transaction-related issues; the transaction may involve unexpected costs, liabilities or delays; the outcome of any legal proceedings related to the transaction, the failure by EQT Infrastructure to obtain the necessary financing arrangement set forth in commitment letters received in connection with the merger; the impact of our previous acquisitions of Clarity Communications and DC 74 on our operations; rapid development and intense competition with resulting pricing pressure in the telecommunications and high speed data transport industry; our ability to grow our data business on an organic or inorganic basis in order to offset expected revenue declines in legacy voice and access products; our ability to obtain new carrier contracts or expand services under existing carrier contracts at competitive pricing levels to offset churn and achieve revenue growth from our carrier businesses; our ability to separate our legacy business on a timely basis; our ability to effectively allocate capital and timely implement network expansion plans necessary to accommodate organic growth initiatives; our ability to complete customer installations in a timely manner; adverse economic conditions; operating and financial restrictions imposed by our senior credit facility and our unsecured debt obligations; our cash and capital requirements; our ability to maintain and enhance our network; the potential to experience a high rate of customer turnover; federal and state regulatory fees, requirements and developments; our reliance on certain suppliers and vendors; and other unforeseen difficulties that may occur. These risks and uncertainties are not intended to represent a complete list of all risks and uncertainties inherent in our business, and should be read in conjunction with the more detailed cautionary statements and risk factors included in our SEC filings, including our Annual Report filed on Form 10-K.